Nonconsecutive Sudoku by Tom on Friday. V-Day Sudoku by Bram on Saturday. Counting On Line Sudoku by Kwaka on Sunday. Equal Sudoku contributed by the group’s newest author, Christoph Seeliger on Monday. Below is my Tuesday contribution. Also, all my puzzle sets are nearing completion and I shall hopefully be able to resume regular posting from now. 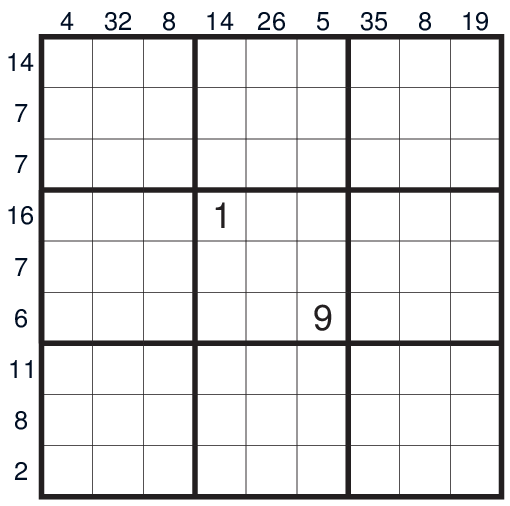 Follow regular Sudoku rules. 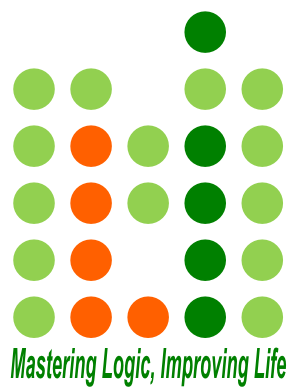 Additionally, the clues outside the grid are the sum of the numbers that are between the digits 1 and 9 in that row or column. Enjoy! Oh and I should add that this one’s quite tricky.